The Office of Financial Aid and Scholarships is responsible for preparing and communicating information on financial aid. This office helps students apply for and receive all types of financial aid. We will communicate with you via AidLink and email. Be sure to check both, regularly. AidLink is a secure online web-based system that gives you access to your SDSU financial aid record, 24 hours a day, every day. Learn about grants, loans (subsidized and unsubsidized), Work Study, and other types of financial aid including credential and certificate programs, summer aid, study abroad, financial aid for veterans and foster youth, and more. Students of all class levels should complete the FAFSA to be considered for all types of state and federal aid and some scholarships. Find out how and when to complete the FAFSA, how to use IRS data retrieval, and how to get a Federal Student Aid (FSA) ID. Learn about your eligibility for financial aid, how to calculate the amount of aid you are eligible for, how to estimate your cost of attendance (COA), what to do if you have a change in income, and more. 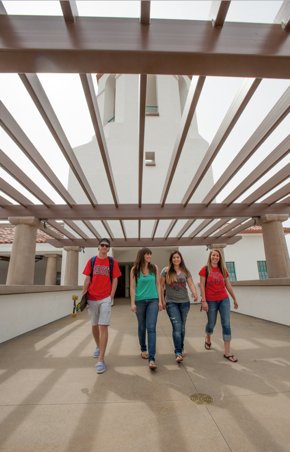 Cost of Attendance (COA) is the estimated cost to attend SDSU during the 9-month academic year. Your financial aid award will be based on the standard COA. Get help estimating your housing and meal costs, how much your family should expect to pay, and more. Disbursement means the payment of money. Disbursement is how your financial aid or scholarship award (money) is paid to you. For students in certain categories, some financial aid procedures may vary. For instance, if you plan on attending SDSU summer session or participate in an SDSU approved study abroad program, you may need to follow special instructions to apply for and receive aid. As a student receiving financial aid at SDSU, your rights include the right to financial information privacy. Responsibilities include making satisfactory academic progress (SAP) and avoiding drug law violations. Students of all class levels should complete the Free Application for Federal Student Aid (FAFSA) to be considered for all types of state and federal aid: grants, work study, student and parent loans. and some scholarships. Learn more about how to apply for financial aid. How does Cost of Attendance factor into my financial aid eligibility? Grants: All grant awards are assumed accepted. Loans: Activate only the amount of loan you need to meet your expenses for the academic year. Note: You have the right to decline any or all of your financial aid award.